Jesus had a Judas, Caesar a Brutus, and there are as well Judas of South Africa. Or at least, that is how some people see it. While naturally some of these people have contributed to the growth of the country, some people still see them as sellouts. At the end of the day, however, one man’s Jesus is another man’s Judas, and one man’s terrorist is another man’s freedom fighter. You would come across people who would tell you that the 10 people below are the Judas of South Africa because of the reasons stated. As far as many South Africans are concerned, South Africa has never been betrayed by anyone as it has been by the Guptas. The family came to the Country from India many years ago and were able to establish themselves as part of the country. Even with the extravagant generosity of being accepted, many people are of the opinion that the Guptas have turned their backs to stab the country and exploit it with the help of Jacob Zuma and the ANC. Although the family is insisting it is where it is today because of hard work, South Africans are not buying it. In fact, they would tell you the history of the romance between Zuma and the family, and how they have influenced major appointments in the country. Right now, many people would tell you Zuma has kissed South Africa and sold her away at first to the Guptas, and then to forces, no one can tell. This could just be what many of those that stood side by side the man during his struggles and rise to power are thinking. Look at Thabo Mbeki and Malema. Remember when he said he would kill for Zuma? Now he is killing Zuma. 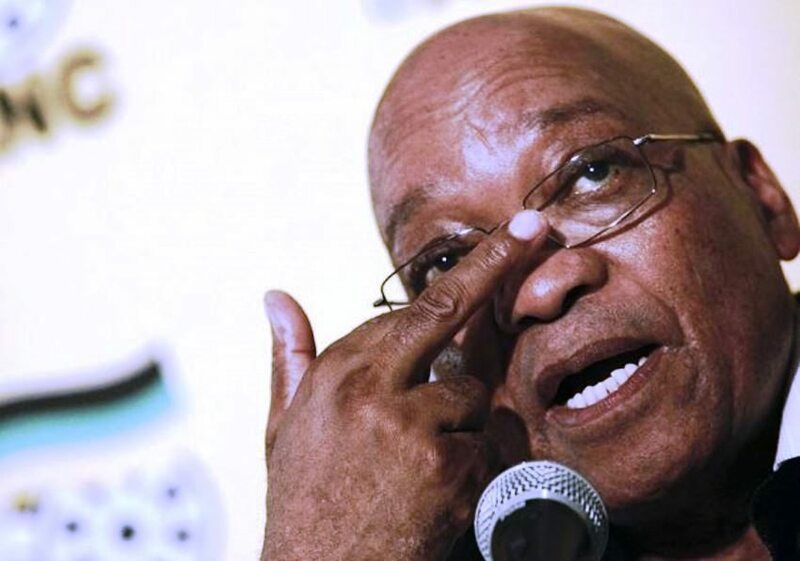 It is not only Malema and Mbeki that would see Zuma as a Judas of South Africa; already Ramatlhodi Ngoako is regretting supporting him, and with his cabinet reshuffling, many people would not easily forgive him. Malema has never failed to take a stance. Since he was a child, he has been a part of South Africa’s struggle through ANC. In his 30s, Malema has grown to be one of the strongest voices of the Country. To some people, he has as well grown to be one of the strongest Judas of South Africa. These people would mostly be members of ANC who are of the belief that they helped him become what he is today, and today, he has betrayed them by opposing almost every turn they take. You may just be speaking the mind of Zuma and other members of the ANC if you call him Judas Juju for fighting the supper (ANC). Can we just call Ramaphosa a Judas by karma? No matter how the feud between Jacob Zuma and his deputy ends, the president would continue to see him as a snitch. How dare he turn his back on Zuma? The thing, however, is that if you are among those that believe Zuma betrayed Mbeki, you would as well believe that what goes around comes around. As such, it is only karma paying its dues to see that Ramaphosa has picked up a fight against Zuma. There are people that would not accept anyone saying Madonsela is not one of the Judas of South Africa. They would tell you that the former public protector undermined Blacks in South Africa and channelled her energy at fighting blacks out without even looking at things done by whites. At least that is what people like Ntsiki Mazwai think when she called her a White people pleaser. In fact, before the Black First Land First, she has earned the title of Judas Madonsela. This is as they have accused her of siding the DA and for other biased activities. As far as those who are of the opinion that the Gupta’s have raped South Africa are concerned, anyone who associates with them is a Judas. Although there are many people, both Blacks and Whites, that would tell you straight up that Maimane is one of the things this country needs, others would tell you he is just a snitch. One of the Judas of South Africa; Black South Africa. They would tell you how he has aligned with DA, a party of the Whites against the ANC. If you meet people that call him a betrayer for deciding to take disciplinary actions against Zille. Just don’t be surprised. I’ve told you. Those that would consider the premier of the Western Cape as a snitch and Judas, would simply term her as a Judas by tweeting. The DA member attracted upon herself the anger of the country after she made a tweet on colonialism, which seemed to defend colonialism or some aspect of it. As far as many are concerned, she has betrayed the freedom of the country by going back to bring its sad history and even try to defend it. Call her Helen Zille Judas and many would give you a thumbs up. If the next person you meet decides to call Klerk a traitor, a betrayer, a Brutus, and a Judas, do not open your mouth or be speechless in surprise. There are many people who think he has betrayed white South Africans by bringing apartheid to an end. The first inclination is to argue and educate them that apartheid ended because it couldn’t survive its growing unpopularity both within Africa and in fact, the rest of the world. Don’t. It would be an argument you would never win, and one they would never give in to. No one can take it from Mandela, the sacrifice he has made for the Nation. In fact, many people around the world do not see him as one of the greatest South Africans, they see him as one of the greatest of men to live. They place him in the small class of Mahatma Gandhi, Martin Luther King, and a few others. The thing, however, is that here at home, many people see him as one of the Judas of South Africa. They insist that he has allowed the whites to still have some say in the country. That being said, many people around the world would see South Africans as ingrates if after all the sacrifice he is still being regarded as a sellout. Are you surprised? Don’t be. You will meet people who will say all of us are betrayals for being racists, or for betraying the ideals of people like Biko and Mandela, or for other reasons. Also, many parts of Africa, most especially places like Nigeria would see every South African as a Judas because of the Xenophobic attacks that have been happening. How dare we betray them after all they have done for us during the apartheid?